January is shaping up to be a pretty good month for gamers, I’d say. It’s barely 2017, and there are already so many games to get excited over! Aren’t you excited? I know that I am! WOO! …Anyway, today we’re going to take a peek at one of said exciting games – Fate/EXTELLA. Blending a well-established series with a new style of gameplay, Fate/EXTELLA is set up to offer a unique experience for both longtime Fate series fans, as well as newcomers. That’s enough setup, though – let’s dive right in! Fate/EXTELLA begins immediately following the events of Fate/Extra. 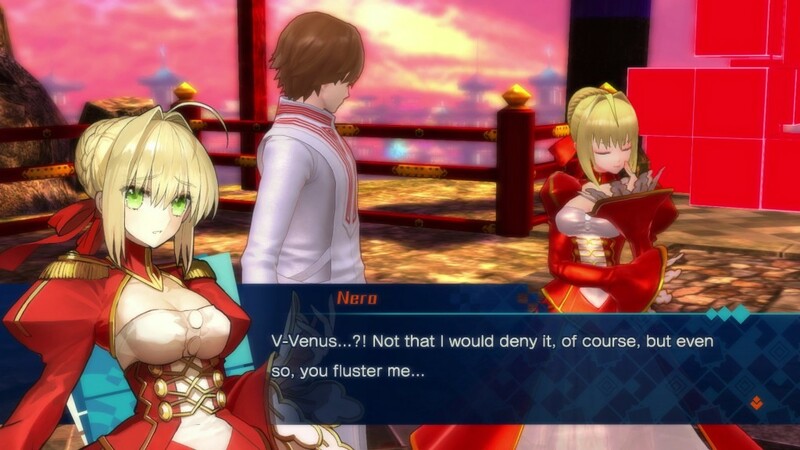 Having just emerged victorious from the Holy Grail War, protagonist Hakuno Kishinami and their Servant, Nero Claudius, find themselves in SE.RA.PH., a digital world that resides within the moon, and in charge of the Moon Cell Automaton – a supercomputer capable of granting any wish – and are given a ring known as the Regalia as proof of their victory. Just as Kishinami begins the process of registering themself (it is a digital world, after all) as the rightful ruler, however, they are attacked by a mysterious creature and pass out. Upon coming to their senses Kishinami realizes that that they’ve lost their memory, and is informed that most of their territory has been taken over by a certain Blue Caster – man, if only Ctrl + Z worked in SE.RA.PH.! Fate/EXTELLA features a brand-new story set in a brand-new world, but do you know what else is brand-new about this game? The gameplay itself! Disregarding turn-based RPG and visual novel genres usually present within the titles, Fate/EXTELLA takes things in a totally different direction by modeling both the gameplay and story progression after the well known Warriors franchise. It’s a bit of an unexpected turn to say the least, considering the fact that any and all previously-employed genres are more about taking your time to absorb the story, but so far it’s been a very enjoyable experience. With Fate/EXTELLA‘s story being all about conquering territory, the change in genre actually fits pretty well. 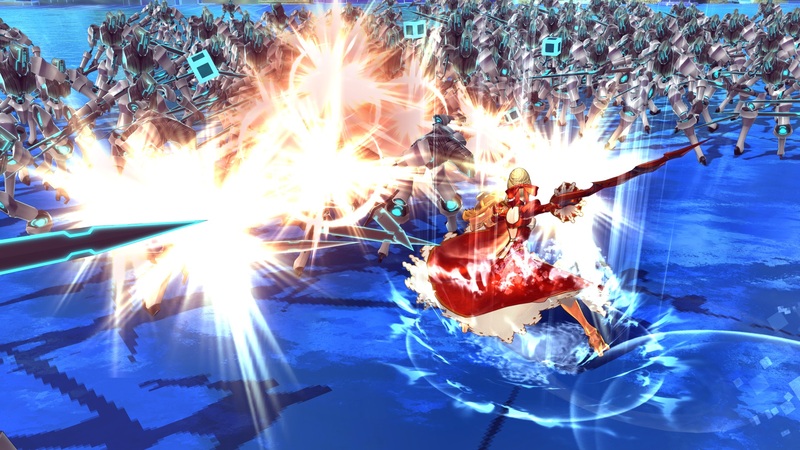 Following in the footsteps of the aforementioned Warriors series, Fate/EXTELLA‘s gameplay is all about that hack-and-slash, 1 vs 1000s style of gameplay that requires players to defeat hordes of oncoming enemies quickly and efficiently through the use of flashy moves and devastating combos. 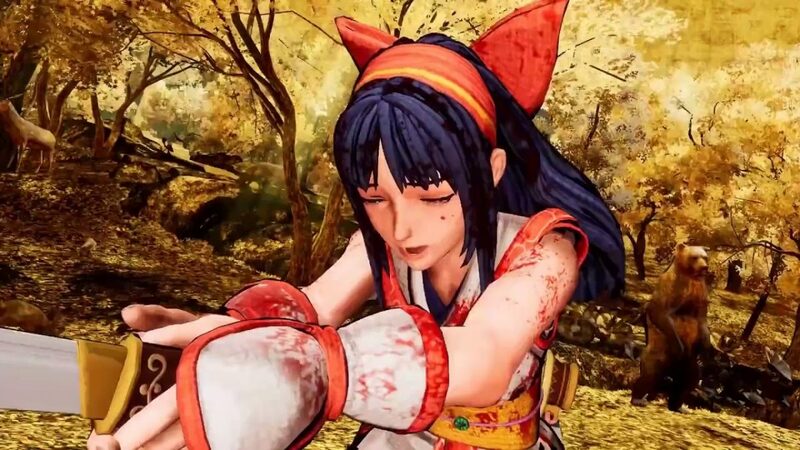 The combat itself is very satisfying and highly addicting, and the fact that you can learn new moves as you level up makes the process even more rewarding. 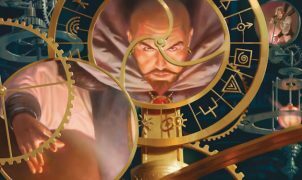 The moves themselves are also varied enough for me actually want, and certain occasions need, to utilize them; it’s always nice when flourish and function come together, am I right? Fate/EXTELLA may primarily be about fighting thousands of enemies by yourself and looking cool while doing it, but I’d be lying if I said that it didn’t get any more complicated than that – strategy is important as well! A level is completed after the player defeats the enemy Boss Servant (an amusingly contradictory term), but getting the boss to appear means that you’ll need to earn a certain number of points, known as “Regime Keys”, by taking territories over on the map. All territories are not equal, however! Some territories are worth more Regime Keys than others and, because of that, it’s incredibly important to (literally) pick and choose your battles in order to efficiently gain enemy territories while preventing the loss of your own. I’ve also appreciated the fact that thus far, while Fate/EXTELLA did a good job of explaining everything to me, it refused to hold my hand. Every level so far has been a challenge – and a fun one at that! Fate/EXTELLA also features a set of playable side-stories that are unlocked one-by-one as you progress through the main storyline – a feature that may not be overly-surprising given the genre of game it is, but is very welcomed nonetheless. While not necessary in order to understand what’s going on in the main story, the side-stories do a great job of filling in certain details by letting you play missions from the perspectives of other characters. Fate/EXTELLA‘s character roster is also pretty diverse, and has done a great job of making sure that no two feel the exact same in terms of play style. Fate/EXTELLA has managed to serve up both a good story and quality gameplay thus far, and has been very enjoyable. With that being said, though, there’s still more left to do, but I don’t want to miss any of it – and, with the way things are turning out, I doubt that you will either!